Got A Cell Phone? Click Here To Get Paid Daily. Independent Marketing Group (hereafter IMG) has been marketing products and services for over 20 years. The company was founded by George M. Sistrunk in 1982 as a networking mail order business in Columbia, South Carolina. Over the next 10 years the company expanded it's marketing interest from mail order products to Life Insurance, Advanced Consumer Electronics and Consumer Benefit Services. By the end of 1992, George no longer actively involvement in IMG and he pursued a career in manufactured housing. In 2001, he formed Advantage Housing and by 2002 he had developed the Advantage Housing Income Opportunity. George did very well in housing sales between September 1997 and February 2003. Even though these sites are no longer active, you can view them by clicking on the links above. The Manufactured Housing Industry in South Carolina collapsed during the latter months of 2002 and early in 2003. After the collapse, George once again, began working with IMG. This new concept, essentially updated IMG to include Internet Sales and Marketing. The Advantage Housing websites that were formerly at Advantage Housing.Com, iVillage, and Tripod-Lycos were transferred to OLM.Net and incorporated into the IMG family of websites and portals. Since 1985, IMG has been helping first-timers realize success in sales, marketing, sponsoring and recruiting. IMG.Ws; like IMG, does not create or develop products and/or services. We formulate programs, concepts, formats and organize marketing groups to introduce them to the general public. In March 2005, IMG added the (.Ws) after formally joining Global Domains International (Website.ws). The addition of the (.Ws) to IMG represents our commitment to building an Internet based organization using the same principles and guidelines that built A.L. Williams into the world's largest insurance marketing company. Our main sponsoring and recruiting website is a revised version of the first IMG.Ws website that is still at Tripod-Lycos. Currently, we operate several active websites that are specifically developed and written to help first-time work-from-homers achieve success in what we do best, sponsor, recruit and build. Our philosophy has been and still is based on our 3 guiding principles-Truth, Honesty and Simplicity. We keep it simple. This includes everything from our do-it-yourself websites to organizational concepts. At IMG.Ws sites; there are no logons, passwords or usernames. There are no code numbers for downline members to know, memorize, track or use. Our sites are written to educate and inform and they are basically opened to the general public. As stated previously, all our sites are maintained at OLM.Net and they are there for our Associates to use when needed. They serve as your online recruiting, sponsoring and information service. All sites are currently written and maintained with the Trellix SiteBuilder. Access is simple and uncomplicated. All you have to do is click on the link we provide. "Find a duplicatable system or method that is already working and plug people into it." You have been using this principle all your life. You just didn't realize it. Your job, profession, or career, whether it is public or private, is an example of a plug-in system. Universities, schools, and colleges of all kinds and types are other examples. Even government sponsored programs and services are examples of plug-in systems. The reason why the vast majority of people will never earn great income in these readily available plug-in systems is because they are not designed or created for that purpose. In order to earn significant monthly income, you need 2 additional steps, and every now and then...3 additional steps. 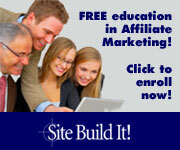 With this new information, your networking success is literally assured, if this is your desire. As an IMG.Ws Associate & VMC Satellite Distributor, you have a tremendous opportunity to increase your income. VMC Satellite has a wealth of information and support services to assist you. You have the most competitively priced satellite system in the market today and more incentives to signup than any other satellite distribution company. The Dish Network has quality programming, professional installation and gives the consumer genuine value for his/her money. IMG.Ws completes your success portfolio by providing a secondary support system, workable and proven methods, insights into sales and marketing and real time support when or... if... you need it. In order to save time and avoid unnecessary duplication, whenever we are providing information that has already been written, we will direct to one of our websites or our Information Warehouse. The Information Warehouse has 22 storage bins of information that you won't find at any company or at any website on the Internet. Since you are already in our organization, your status has been automatically upgraded to Associate. This designation gives you 24/7 access to the Warehouse. The Warehouse is your online study, where you can go to learn the skills you need to succeed, not only in business, but also in life. The Information Warehouse is updated frequently and the information is always accurate. If our information is not accurate, all you have to do is use the Comment Form at the bottom of the page, provide the correct information and click send. If your information is proven more accurate and up-to-date, we will correct the information in the Warehouse within 48 hours. Anytime you want to go to the Warehouse, click on the link or the Dish Network Satellite System icon. To discover more advantages of being an IMG.Ws Associate, go to our main sponsoring and recruiting website. This website not only maintains the most reliable Internet based opportunities we can find, it also has timely information. As stated previously, our sites are specifically written for first-time work-from-homers, therefore they are designed to educate and inform. This saves newcomers time, effort, money and frustration. You can use this link to get to our main sponsoring and recruiting website, Independent Marketing Group. When you arrive, go to: The Proven Method That Builds Wealth Rapidly, or click the title and go there now. After scanning or reading the web page, continue to The IMG.Ws Advantage. or click on the title and go there now. When you are done, close the browser window and return here. Now that you know a lot more about us, let's talk a little bit about you. Since we have not met in person yet, why don't we go over a few of the questions we usually ask our new Associates? The answers to these questions will help us and you determine the level of support you will need. The vast majority of working men and women are beset with doubts and fears; and have little, if any, real self confidence or direction for their lives. 95% of America's population is conditioned to look for work rather than opportunity. There is nothing wrong with this; except, it fills people with fear and anxiety when it comes to taking the initiative and doing something on their own. If you can imagine the extent and intensity of this mind-set, it becomes painfully clear why so many people are fearful when it comes to going out into the market place. and cautious when you embark upon a new venture. Being a successful VMC Satellite Distributor or recruiter will be just like going to work or school for the first time. Remember, it took time and effort to develop the skills, knowledge and expertise you now have. If you can recall the steps and the process you went through to become proficient at what you are doing now to earn your living, it will help you grow and develop your VMC Satellite Distributorship. Once you realize the unseen forces or fear (doubt and uncertainty) are present, you will overcome them and succeed. An entire information module has already been written to help new Associates overcome their doubts and fears. It is located in the information bin entitled: Why You Need Prospects. You can go there now if you like, just click on the title. If not, let's get started with the interview. Of course there are many more questions we need to ask you...and that you need to ask yourself. Believe it or not, your answers are not for our benefit, they are for yours. Answering these questions and more, will help you clarify your thinking concerning the VMC Satellite Opportunity and the Dish Network's Satellite TV Subscription Service. Your answers also helps us and you determine the absolute best market development strategy for you to use. To help you really clarify your thinking concerning the VMC Satellite Opportunity, why don't we review why it is one of the best income opportunities in America today? The best way to clarify your thinking about the VMC Satellite and Dish Network opportunity is to compare it to others. Practically every worthwhile income opportunity in America today requires an initial investment. With VMC Satellite, there is no up front investment. This is the first major advantage. Secondly, there are no conference calls or meetings to attend. There is no complicated marketing plan to learn or understand. There are no long drawn out presentations to remember. There are no product lines to learn, use or demonstrate. There are no products to buy, ship or store. You don't have a monthly quota or a personal volume to maintain in order to get paid. You don't need employees, an office, special equipment and there no overhead expenses to worry about. The Dish Network has quality programming and our service fee is a genuine value, when compared to cable and our competitors. There are no accounts to service or collect from. You set your own hours and work at your own pace. There are no territorial limitations or restrictions. There are no unwanted monthly purchases. In addition to all these advantages, there are no..
1. Diet products to sell. 5. Supplements, Potions or Lotions. 6. Over priced items to convince family, friends, relatives or neighbors to buy. Plus, there are no conflicts with your present occupation. You can work full time or part time. Satellite TV is not a fad, it is here to stay. The market is huge and you have unlimited earning potential. Your business is flexible and portable. You can work anywhere in America. In fact, from anywhere in the world. However, our service is for U.S. residents only. VMC Satellite is an excellent companion program for existing downlines. It is ideal as a fund raiser for churches, schools, clubs and organizations. It is an excellent and affordable subscription entertainment service for motels, offices, apartment complexes, resort communities and mobile home parks. There are no economic restrictions. Rich, middle class, or poor. Anyone 18 years or older can become a distributor. Let the numbers speak for themselves. Compare the opportunity you now have to any other income opportunity in the world. See for yourself why dollar for dollar, feature for feature and benefit for benefit that VMC Satellite and the Dish Network come out on top. With a product this good...why would you hesitate to offer it to someone? With a service this good....why would you hesitate to offer it to someone? With an opportunity this good....why would you hesitate to offer it to someone? I'm glad you are beginning to see the big picture. Now, if it is not an inconvenience for you, why don't we get busy and start building your business and/or organization? This website (and the web pages it contains) is written specifically for VMC Satellite Distributors and not intended for public use or display. If you have arrived here by any means, other than being invited by a VMC Satellite Distributor, you are welcome to stay. Even though the information at this site is not meant for you, you might find it useful. You might even be interested in one or both of our offers below. Thank you for your understanding and cooperation in this matter. Jurisdictionary®Click the above link. Learn how to protect yourself in court.Get your step-by-step course on how to file a lawsuit or defend yourself to win. © 2005-2016 - George M. Sistrunk - All Rights Reserved.